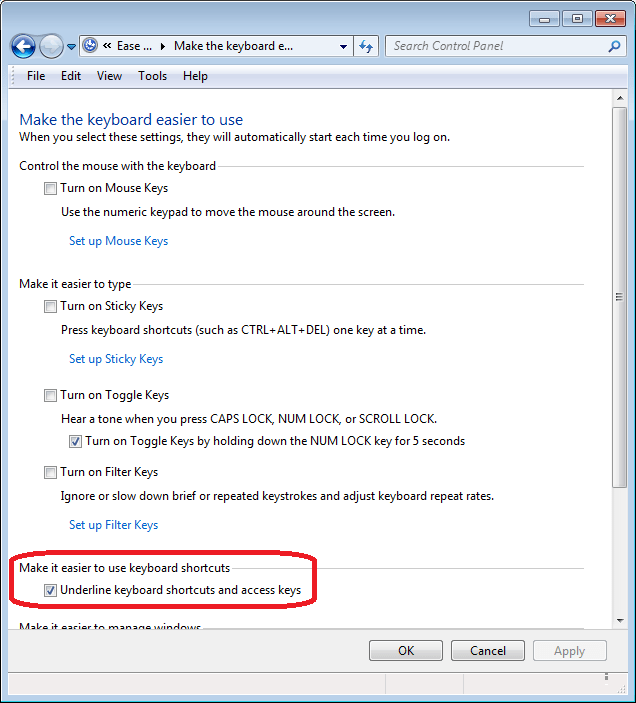 Microsoft released Windows 7 in 2009, and one thing I’ve always hated about it is that the option to underline keyboard shortcuts was gone. Why would anyone deliberately make it harder for users to work smarter, by no longer showing them those underlines? I’ve finally discovered that the underlines still exist — here’s how to turn them on! Even in Windows XP, the underlines are hidden by default but it’s easy enough to find the setting to turn them on — reasonably, this was found “Display Properties”. But in Windows 7, that setting disappeared, and I’ve disliked Windows 7 for this reasons as well as for a number of similarly “helpful” beautifications like the bad navigation in Windows Explorer (I mentioned a simple fix for that in 2009). You can now see the shortcuts! Unfortunately, Microsoft didn’t feel it necessary to display those underlines in the menu bar itself, only in the menu items. 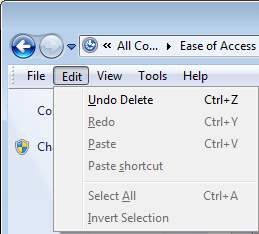 So you’ll need to guess that Alt+F opens the File menu, Alt+E opens the Edit menu, and so on. Interestingly, other applications like Firefox correctly show the underlines in the menu bar. This is fantastic information. 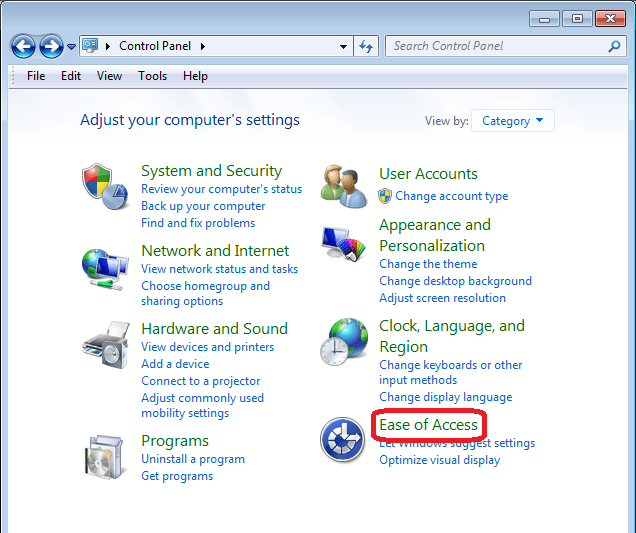 I use a Mac at home but I use a Windows PC at work and I am following your instructions – thanks!